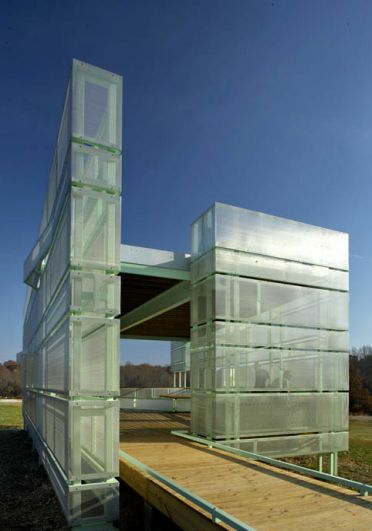 DESIGNBLOOM: "tonic design cubed volume for remote rank residence"
ARQUITECTURA + ACERO: "Vivienda Unifamiliar – Smart-Stell House"
TRIANGLE BUSINESS JOURNAL: "Vinny Petrarca | People"
Tonic Design + Tonic Construction has received 26 design awards from 2005 to today. For more information visit www.tonic-design.com. INHABITAT.com: "Tonic Design's Energy-Efficient Smart-Stell Opens Up To The Outdoors In North Carolina"
The Smart-Stell House is an energy-efficient North Carolina home made from standard off-the-shelf materials. Created by Tonic Design, the residence features a discreet facade that opens up in the back to a beautiful park, trees and a private lake. Smart-Stell House is a one-story horizontal house that likes to keep its privacy from the outside world featuring a band of clerestory windows on the top. Envisioned as a “home and vacation home” at the same time, it opens up to the back welcoming nature in. CARAGREEN: "Musician Soars, ECOfusion Floors"
After winding down a long, pastoral, gravel road in Pittsboro, NC, we arrived at the soaring modern home of musician, Michael Rank. At four floors, it’s the tallest house ever created by Tonic Design, the architect and builder. Its black aluminum and gray cement exterior cut through the country landscape and sky. Ranks’ favorite “colors” – black, gray, and white – canvas the exterior and interior. ARCH DAILY: "Smart-Stell Residence / Tonic Design + Tonic Construction"